Native bee populations are suffering. No one is quite sure why this is happening, but many believe it is due to disease, nutrition, stress, and pesticides. That’s why I want to chat about bee-friendly flowers. I hope you all are already using natural alternatives in your gardens and around your homes instead of pesticides. Some past posts that you might find helpful in steering away from these pesticides and chemicals include Organic Amendments, Grocery Gardening, and Natural Insect Repellents. Another way we can help out our native bee population is to plant bee-friendly flowers. I like to have a variety spread throughout the yard. 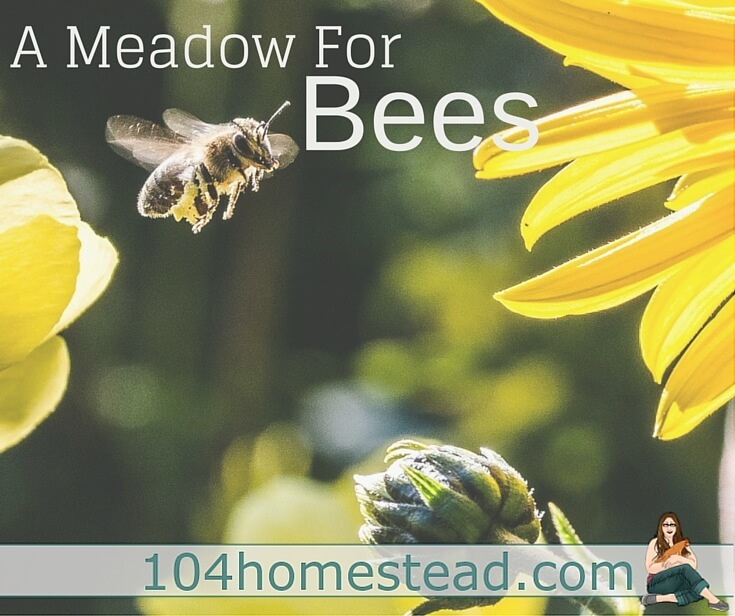 This year we are adding to our efforts of having a proper bee habitat on our homestead. We are creating a small meadow of native bee-friendly flowers. It may not be much, but a 20′ x 20′ meadow plot can feed many bees. To get started, you can get a big box of Wild Flower Mix at most garden stores. These contain many of the plants that bees enjoy. Your other option is to hand select some of the great bee-friendly native plants that grow well in your area. This list is not all-inclusive, but this is a good list to start from. Your local nursery should be able to assist you further in selective native plants for your area. Bees prefer flowers that are blue, purple, violet, white and yellow. Plant a variety so you can attract a variety of bees. Bees come in a variety of shapes and sizes. The more shapes and sizes you provide in the way of flowers, the more bees you can accommodate. By having flowers that bloom during different seasons, you will be providing the bees with food when they need it. Consider making a whole native bee habitat. 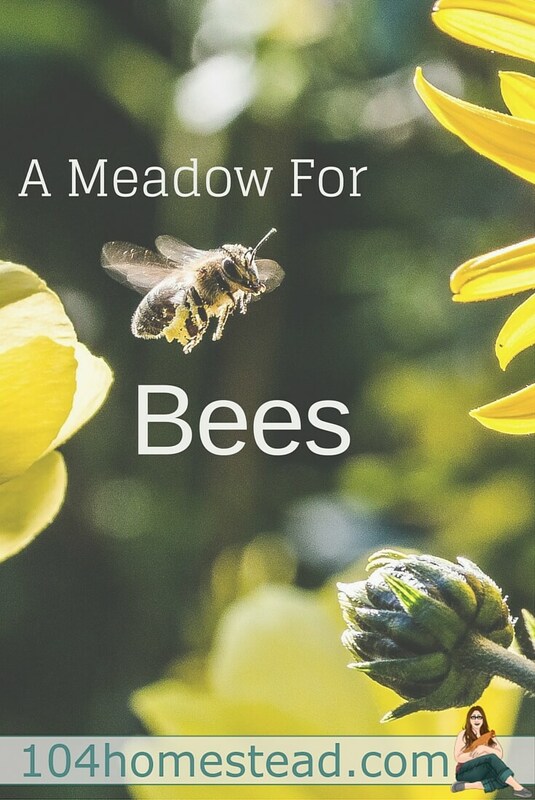 A fellow Mainer and friend, Samantha of Runamuk Acres, has written How to Create a Native Bee Habitat in Your Backyard. 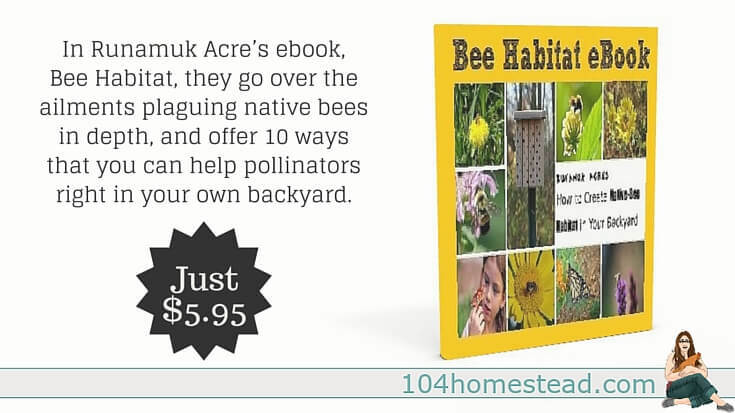 This ebook contains 10 ways you can help your native bees. It’s certain to inspire. Don’t forget! These helpful guys are the reason why many of our vegetables produce food for us. Don’t you think we should give back? I apologize for being nit-picky. You have some good recommendations for gardeners who want to help our native pollinators! However, your first line is inaccurate. You state that the decline in native pollinators is referred to as Colony Collapse Disorder (CCD). CCD is a disorder of honeybee colonies. Honeybees are not native pollinators. Native pollinators like bumblebees and some butterfly species are seeing a decline, but it would not be referred to as CCD. Native bees are generally more effective pollinators than honeybees and are very important. Thank you for taking steps, and encouraging others, to help nourish these important creatures! 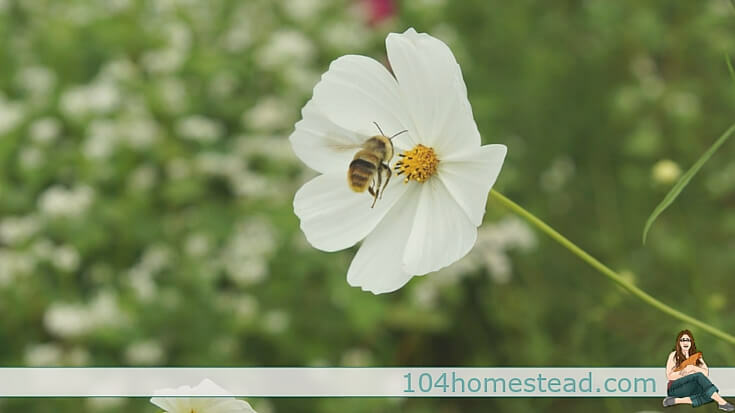 When buying plants from a nursery first check that they don’t use neonicotinoids – these pesticides will harm pollinators and is one of the likely causes of colony collapse disorder. Very good point Sarah. I know several of the home improvement stores (throat clearing… Home Depot) use neonicotinoids. I couldn’t agree more. Some of the bees’ favorite flowers happen to be mine as well. I created what I call my Wild Garden, and I planted it with plants that attract butterflies, bees and other pollinators. I don’t deadhead the flowers, so birds can enjoy the seeds that develop. It has proven to attract a diverse group of insects, and I love having them around! That IS the coolest part. While helping the bees, you’re helping other lovely local creatures. I love the butterflies and birds as well. My mom and I have a huge stash of birdhouse gourds. I want to hang some around my “meadow” since they are so natural looking.